It may sound hyperbolic but there’s no need to promote the country’s latest tourist destination, Sta. Ana in Cagayan province. Its attractions promote itself. From a once sleepy town in the 1990s, it has metamorphosed into the latest boom town in Northern Philippines, thanks to the joint efforts of the Cagayan Economic Zone Authority, the local government unit and in particular the local and foreign business locators. But here’s the rub. Even before casinos and high end( at least by local standards) resorts and restaurant s started to dot the pristine white sand beaches of the municipality, the Philippine Game Fishing Foundation have been there for their traditional annual tournament. Even before the country and of course CNN went gaga over the white sand beaches and other tourism adventure offerings of Sta. Ana, sports fishing in the area has become world famous. It helped that the Philippine Game Fishing Foundation (PGFF) has established its Don Andres Soriano Sportsfishing camp within the Philippine Navy compound. Published reports said predominantly American sports anglers started to arrive in San Vicente, Sta. Ana at the beginning of the last century. “The waters from San Vicente to Fuga island are known throughout the country for the same fish one would expect to catch in the best fishing grounds of Hawaii,” a former British pilot who made Sta. Ana his sports fishing base said. Majority of the international anglers confirmed the statement and claimed the area between San Vicente to Fuga island is the best sportsfishing destination in the Philippines. However, Trevor Taylor, another British who owns the Jotay Resort suggested the locals should go into sportsfishing gears and supplies business to cater to the needs of the players. “So far, most of them have to bring their own from their place of origin,” he said. The annual game fishing tournament which culminated Sunday has caught worldwide attention that even before the law which created the Cagayan Economic Zone Authority was enacted, foreign and local anglers have frequented the area if only for compete. 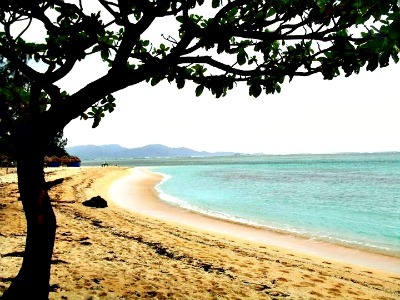 Joan Taguba of Costa Carina beach front admitted that the selection of Palaui island by CNN as one of the best beaches in the world, plus the six-month shoot of Survivor America in the area have contributed to the prestige of the destination.